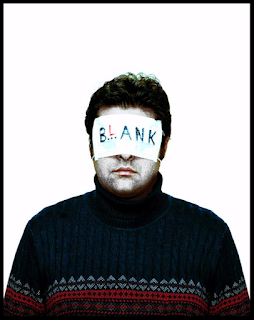 Nassim Soleimanpour's BLANK, April 22-24 at A.P.E. A.P.E. Gallery 126 Main Street Northampton, MA. Now that Serious Play's Endgame Project has come and gone, we are excited to announce the dates of our next show, which will play at A.P.E. Gallery in Northampton on April 22, 23, and 24! Building on the energy generated by the excellent return performances in Serious Play's Endgame Project AND the new possibility of a college tour in 2017-18, we are moving forward in our PERSPECTIVES THROUGH PERFORMANCE initiative with Nassim Soleimanpour's play, BLANK. BLANK is the second experimental work by Iranian playwright Nassim Soleimanpour. His first, "White Rabbit Red Rabbit," was presented by Serious Play in in the Fall of 2016. Known for plays without directors, sets and rehearsals, the acclaimed Iranian playwright Nassim Soleimanpour takes it to new extremes. Each night Nassim's play full of blanks is to be completed by a new performer. The play becomes a story machine to share the life-story of the playwright, the performer and a random audience member. Soleimanpour's BLANK invites critical reflection about how our human identity is constructed around the stories we tell. Simultaneously, it celebrates the communal and elusive nature of theatre, as audience members shout, laugh, gasp and collaborate to write the evening's story, a story that is irrevocably theirs and will never be told in the same way ever again. Keep your eyes open for further updates about the event, the actors, and the play itself!